If voice functionality for Google Search sounds familiar, that's because it's been around on desktop web for quite a while. Also, there was Voice Search until quite recently (listen, it's Google, of course this feature is going to be similar to a number of other projects). But beyond all that, it just seems like the kind of feature that would have already existed. It turns out, however, that previous to this mobile browser Google searchers were missing out on a voice lookup option. To find voice search on the mobile web, you'll have to head to Google.com in Chrome or Edge (browsers including Opera, DuckDuckGo, and Firefox don't work yet) and tap the grey microphone icon in the search bar. Before launching, you'll then have to okay some system permissions for audio input. Once you do, you'll see a blank white screen with the prominent (and somewhat aggressive) insistence that you "Speak now." Depending on your query, Google might respond with a voice response (if the request is simple, like "What's the temperature?") or a list of results if the question is a little more complicated. Taken alone, this update is not destined to change lives – there is, after all, a simple-to-use infrastructure for voice search on Android devices using Google Assistant. Still, it's beneficial for those who use Google Search in their mobile browser, and it's always interesting to note the continued trend toward voice interactions over text. We might be heading for a future where kids think it's old school to type. I'm not sure I'm ready for that, but it seems Google is prepared. There's also a new search interface that seems to have rolled out along with the microphone icon, or right after it. 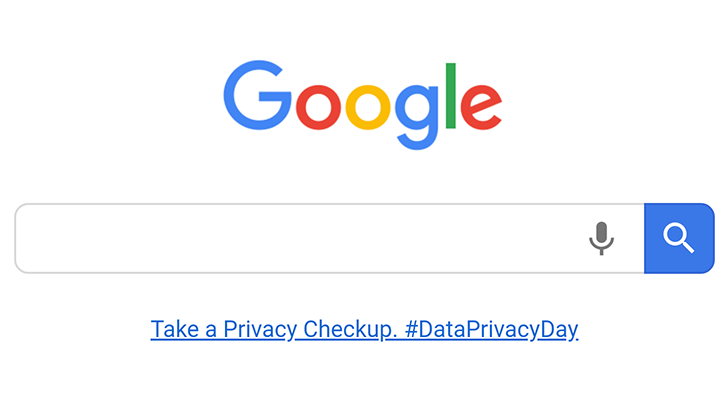 When you select the search bar on google.com to start typing your query, you'll get a different look. The search is a simple text field instead of a box, there's a back button, the mic shows up again, and the big blue button for searching has been replaced with a smaller blue icon. This design may have begun rolling out a few weeks ago, or even more, but it's live for everyone now. Even if you don't have it, it should trigger once you use Google search for a minute or two. Thanks, Henny Roggy!